By nature, I’m an impatient person. Waiting for my nail polish to dry just exacerbates that. Even if I find my holy grail nail polish color, I will boycott the brand, talk bad about the makers mama, and anything else if it takes all day to dry. I don’t like to wait! For those impatient folks like me, I came across a tip a while ago that helps my polish to dry faster. Ice water. 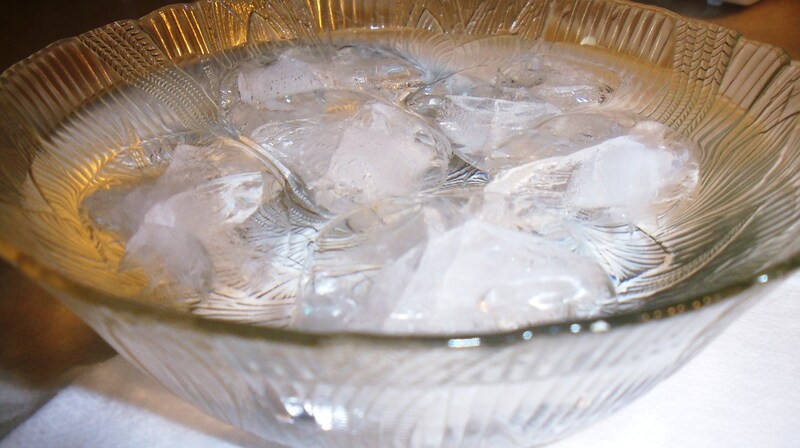 After my first coat of polish has dried completely, I take a big deep bowl (sometimes a casserole dish since they are deep too), and put in about 6 or 7 ice cubes and water. I dip my hands in and keep them there until the polish gets hard. Now, the water is cold, so I do have to take my hands out periodically, but that just gives me a chance to gauge how hard my polish has gotten. It works in a pinch, though I don’t do it often cause like I said, that water’s cold!